SUCCESS SATURDAY! Share your success with us! Link back here to your blog! Leave a Comment on SUCCESS SATURDAY! Share your success with us! Link back here to your blog! 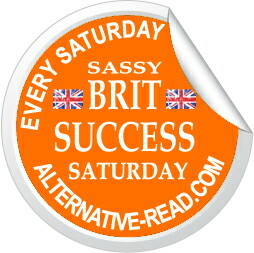 Welcome to Success Saturday, where we invite writers to share their successes by leaving links to great reviews they’ve received, published stories on online magazines, and awards etc. for all to see! If you’ve had a success — share it here. To add a link, go to the line ‘You are next..
in the in the Linky tools below. If you don’t have anything to link to, that’s fine, too. Just share your news in the comments section! Maybe you have just had a short story published on an online magazine you’d like us to read? If you class it as a success we’d love you to leave your link below! This Linky Tools List will stay open for 6 days, and a new Linky will be added next Saturday. The Linky should be just below this sentence- if you can’t see it, please refresh the page. If you have any trouble adding your link, feel free to add it to the comments section instead. Thank you! Don’t be shy, practically anything you deem successful, however small, is acceptable. It’s the weekend, time to relax and share your good news.In addition, if you have a blogger blog you can ‘Get Code’ and add the whole hop to your own blog post! Coming tomorrow, the Sassy Sunday Story Starter where each Sunday an author supplies a writing prompt for our readers to continue a story usually under 1000 words. Get in touch if you have a writing prompt you’d like featured! Then on Monday is one of our other regular feature The Monday Movie swap, where you are invited to share your book trailers. Hope to see you there! Next Entry SUNDAY WRITING PROMPT: Can you finish this story in under 1000 words?